I shop at an international food store when I’m staying in Sacramento. The produce aisle is fascinating. I saw this huge thing that’s called Dongchimi Radish. I forgot to take a pic of it before planting. Basically, it’s about the size of a softball. The root had been cut off but the leaves were left. I picked one up because I wanted to see if I could get it to seed. 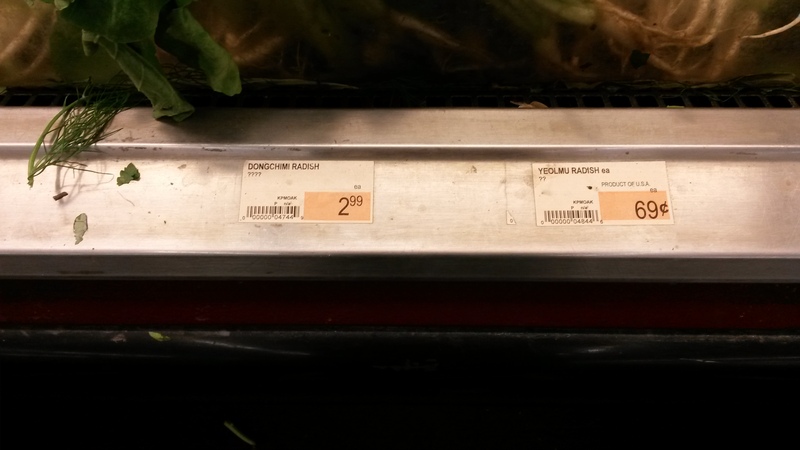 I also picked up another radish, which was listed as Korean radish. It could be the same thing for all I know. The top was cut off but the root remained. Here they are a couple weeks later. The Dongchimi (right pot) has leaves now. All of the leaves are new. 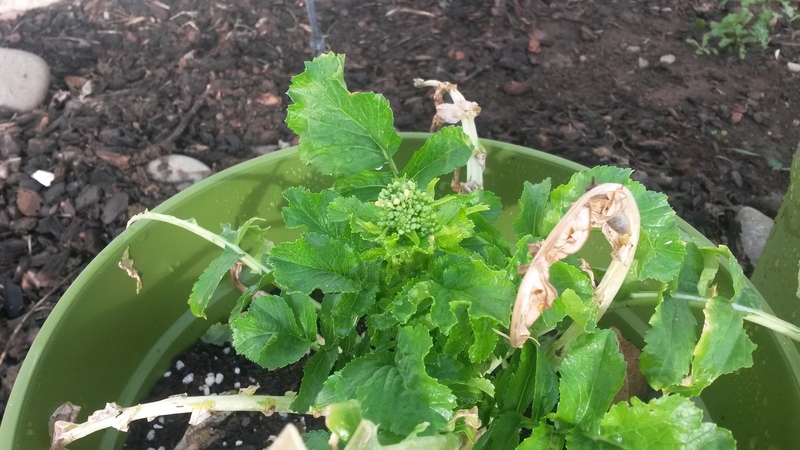 The top on the Korean radish has come back from wilt and is starting to flower. It’s important to know that stuff like beets can be two year plants. 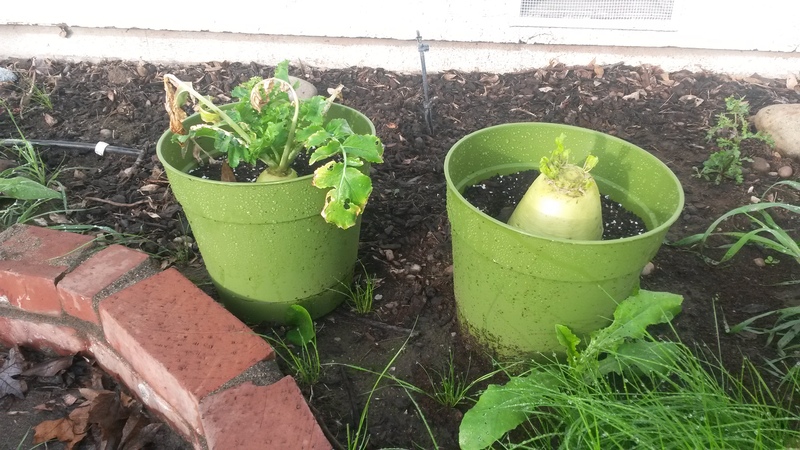 The first year, they’ll grow the tuber and the second year they seed. Often, you can harvest them in the fall of year one and plant them in the spring of year 2 for seed.